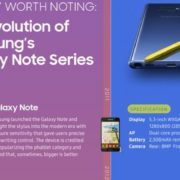 Almost a year after the Galaxy Note 7 fiasco that created a dent in the Samsung’s smartphone sales and made recall 2.5 million units worldwide in September 2016, the South Korean giant is back with its next flagship smartphone Samsung Galaxy Note 8 to retake the throne as new king of Android phones. The Galaxy Note 8 hits the sweet spot between Samsung’s S8 and S8 Plus with dual cameras setup, and an updated S Pen with numerous tricks up its sleeves. But before we dive more into the features, there will be one critical concern in the buyer’s mind — is the battery safe? To ensure these are not flame-prone phones, the Galaxy Note 8’s battery has undergone Samsung’s 8-Point Battery Safety Check — similar to Galaxy S8. The Galaxy Note 8 is the first smartphone from the company to sport two 12MP dual rear cameras with Optical Image Stabilisation (OIS) on both the wide-angle and telephoto lenses. For more advanced photo-taking, Samsung has included a “Live Focus” feature that lets you control the depth of field by allowing you to adjust the bokeh effect in preview mode and after you take the photo. The wide-angle lens has a dual pixel sensor with rapid auto-focus and the Galaxy Note 8 is also equipped with an 8MP smart auto-focus front-facing camera for sharp selfies and video chats. The Galaxy Note 8 comes with the biggest screen ever on a Note device — 6.3-inch Quad HD+ Super AMOLED Infinity display — giving you more real estate to watch, read and draw, making it the ultimate multi- tasking smartphone. You will also treasure some of the repeat features of Galaxy S8 like top-of-the-line processor, water resistance, expandable storage and wireless charging.Samsung will also introduce Bixby Voice capabilities with ‘Make for India’ innovations in its intelligent interface Bixby in the next few weeks. Bixby will be available on Galaxy Note 8 and Galaxy S8 and S8+ devices. The smartphone is powered by Exynos 8895 processor paired up with 6GB of RAM. 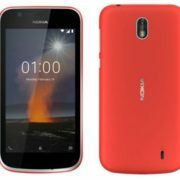 The device houses 3,300mAh battery and can survive up to 1.5 meters of fresh water for up to 30 minutes. Since its introduction, the S Pen has been one of the Note’s defining features. The enhanced S Pen in Galaxy Note 8 offers new ways to write, draw, and interact with the phone and communicate with friends, plus opens doors to create efficient animated GIFs – you won’t get on any other phone right now. S Pen now has a finer tip and improved pressure sensitivity as compared to previous generations. The S Pen in Galaxy Note 8 supports Live Messages allowing you to share animated texts or drawings across platforms that support animated GIFs. Another interesting feature for people who often go on business trips is the S Pen Translate that lets you hover over text to quickly translate not only individual words, but entire sentences in up to 71 languages, and instantly convert units and foreign currencies. 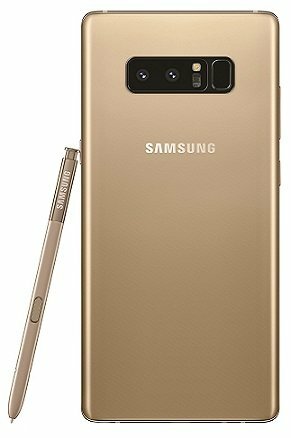 Briefly, what I can say about S Pen is that if you have never used Galaxy Note device but can make the S Pen part of your daily life, I can assure, you won’t find any other phone that goes as far (though there are leaks that the next generation of iPhone could support Apple Pencil). For security purposes, the Galaxy Note 8 offers a choice of biometric authentication options — including iris and fingerprint scanning. Samsung Knox provides defense-grade security at the hardware and software layers and with Secure Folder, keeps your personal and professional data separate. Overall, users of the Galaxy Note 7 — who had to give up their phones — and also owners of 2015’s Galaxy Note 5 — will find the Note 8 to be device that they should have gotten last year. The Samsung Galaxy Note 8 brings the best of the Note 7 with the S8 and S8 Plus. Pre-registrations for the Galaxy Note 8 started from August 24 and over 2.5 lakh people have already registered for the device. 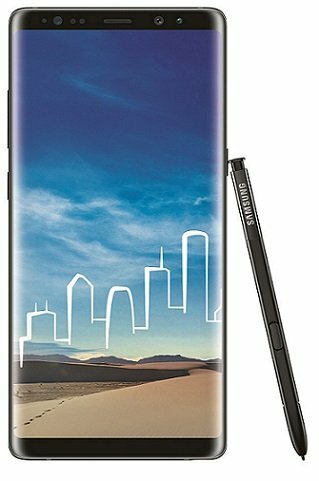 The Samsung Galaxy Note 8 will be available to consumers at Rs 67,900 starting from September 21 in midnight black and maple gold colours. The device will be available for pre-booking starting from today (September 12) across selected retail stores and also online exclusively on Samsung Shop and Amazon.in. 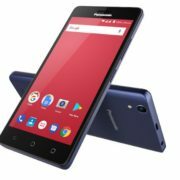 The company also announced launch offers wherein consumers can avail an attractive introductory offer comprising a one-time screen replacement and a free convertible wireless charger. Samsung also announced an all new ‘Samsung Upgrade’ programme offering its loyal Galaxy users the best value when they trade in their old device for the Galaxy Note 8. Consumers purchasing Samsung Galaxy Note 8 users will get a double data offer on Jio, under which they can get up to 448 GB of extra 4G data over eight months, as well as complimentary Jio Prime Membership. In another launch offer, consumers who will purchase Galaxy Note 8 using an HDFC Credit Card will get a cashback of Rs 4,000.